View from Inman Park: Jazz Forever! 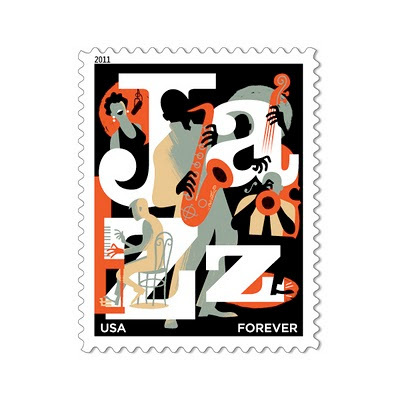 Tomorrow in New Orleans the USPS will debut the new Jazz Forever Stamp designed by Paul Rogers. The stamp, that vibes David Stone Martin (of Bird and Diz fame) and Stuart Davis, will be available soon in your local post office. Love the classics but need new hope? Check out Ropeadope!